Hi everyone, I still think I'm dreaming about being asked by Loll Thompson (before I went on my break) if I would like to join the Happy Little Stampers CAS DT . . . and now, to be part of such a wonderful team as Happy Little Stampers, it's a dream come true. As the theme is for stamping, I felt that stamping needed to be the star of the show, so I used selective stamping to achieve this. I used a VERY old stamp set that I thought would be ideal for this challenge, it is See D's, 'Say It Again' stamp set, and stamped each greeting in different colours of ink in rainbow order. 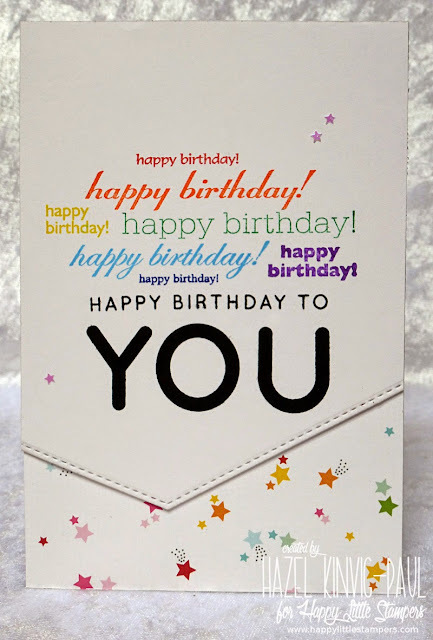 I finally stamped the greeting, Happy Birthday To YOU, underneath in Versafine ink in black onyx, with the Simon Says Stamp, 'You' stamp set. Then I cut the panel with a My Favorite Things die from the 'Stitched Basic Edges' die set and foam mounted it on to the front of a card base that I covered with a piece of patterned paper from the Avery Elle, 'Everyday Collection' 6x6 pad. I finished off with just three tiny iridescent star confetti pieces to match the patterned paper. I hope you have been inspired to play along with the challenge at HLS. Just make a card with stamping, and then link up to the challenge, it really is that simple. Hazel, I love how this turned out! Very eye catching and fun! Terrific card Hazel using all of those colours! Fab card, Hazel! Just love your idea using different styles of HB stamps!!! Looks great! Oh my goodness Hazel...this is some card. I love all those happy birthday's stamped in all those fabulous colors and fonts, so fun and very clever! 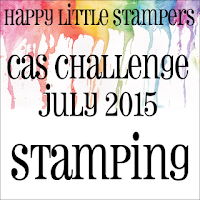 Congrats on being part of Happy Little Stampers! Fabulous design and colours, Hazel. I like how you stamped the different sentiments and your use of the DP. Fab card, teamie! 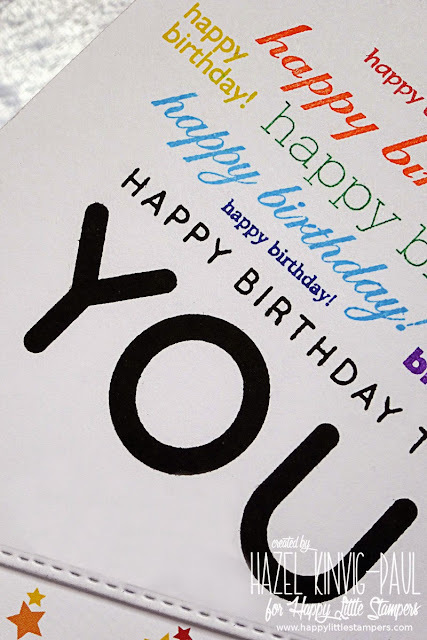 Love this design and your stamping co-ordinates so well with the patterned paper. Looking forward to working with you on our future challenges. What a wonderful way to say Happy Birthday, Hazel! I'm still squealing with delight that we're on this team together! Well done, your first post and card are fantastic!! 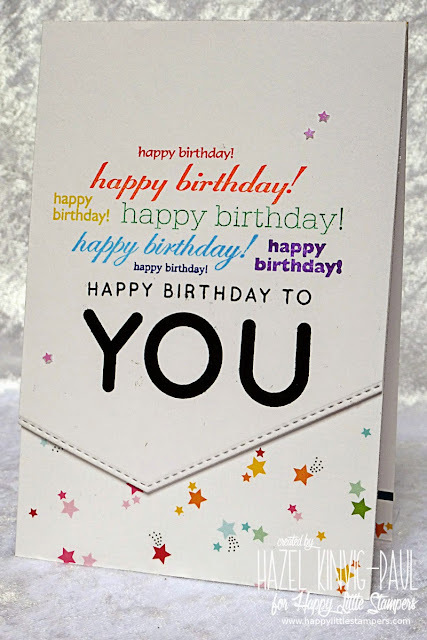 You did a brilliant job with the stamping and especially love the tiny stars on the bottom of the card. I'm so going to enter this one, probably many times and can imagine it will be very popular. Congrats again! What a wonderful card for your debut DT card. Love how colorful it is--great idea to repeat the sentiment in so many different ways. What a fun and cheerful card! Great debut! Oh, boy, it's been a long time since I've been commenting on cards, as it is soooo very, very cold in the study where I have my computer and make my cards, that I rather spend time in the lounge sitting in the winter sun knitting!!!! But today I've set aside to look at all the lovely creations everybody has been making and visiting all my friends!!! And I know when I've seen everybody's lovely cards, I'm going to be inspired to make some cards again and try and forget about the cold!!!! 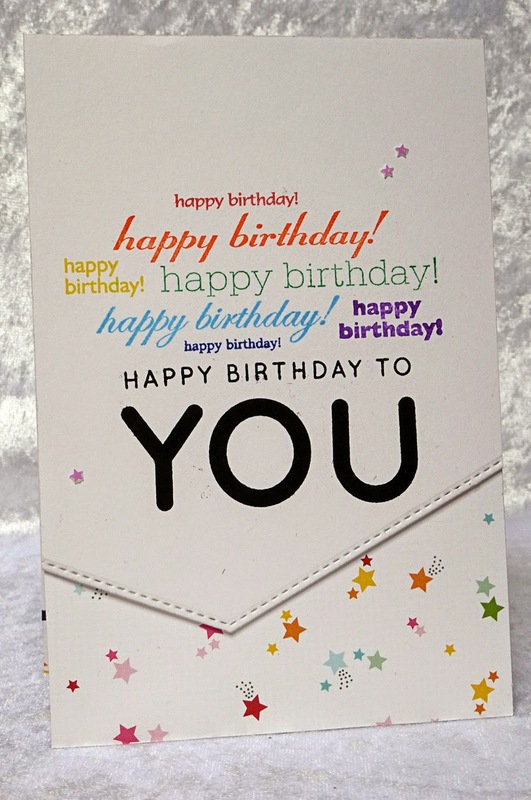 Your card is soooo beautiful and so cleverly made for the stamping code word!!!! I love how you have played with colour and the little stars are so sweet!!!! This is really beautiful, Hazel and a wonderful creation to add to HLS as your first DT contribution!!! Congrats again - so happy for you!!! !